We have all sorts of stuff blooming now. It always makes me shake my head a little. 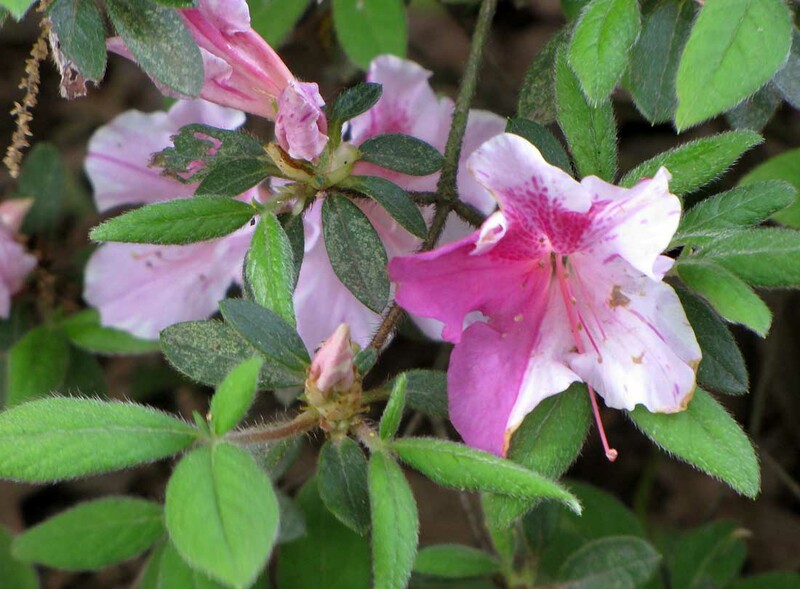 Growing up in West Virginia, we had more of a progression of blooming plants. But here in the south, spring and summer stuff can get all jumbled up together. 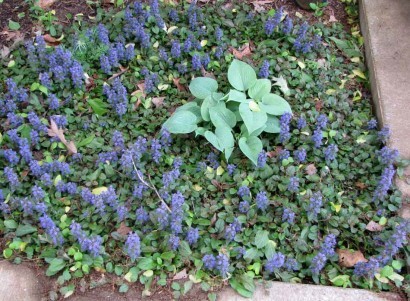 For instance, right now we have these plants blooming around the house. . . 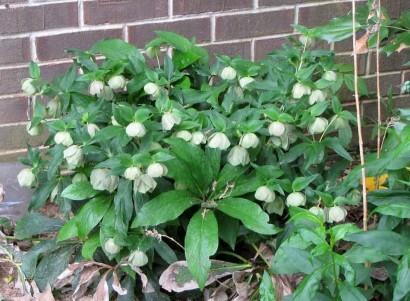 I brought starts of this plant from our previous home in Alabama. 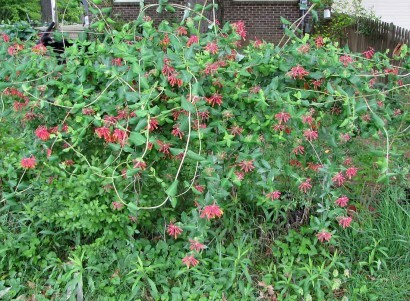 I guess Alabama Crimson Tide Honeysuckle is appropriate considering The Farmer is a die-hard Alabama Tide football fan! 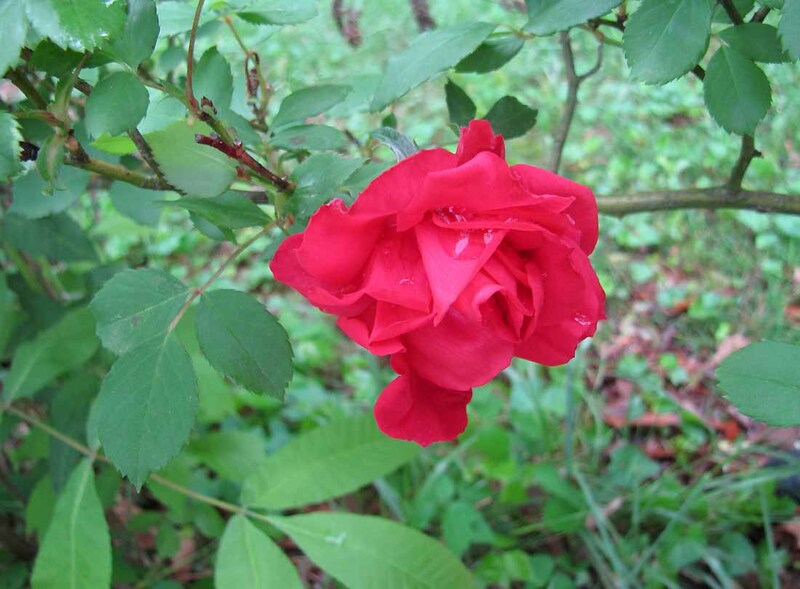 Along the same fence line, there are red roses blooming now. These old-fashioned bush roses were already here when we moved here. 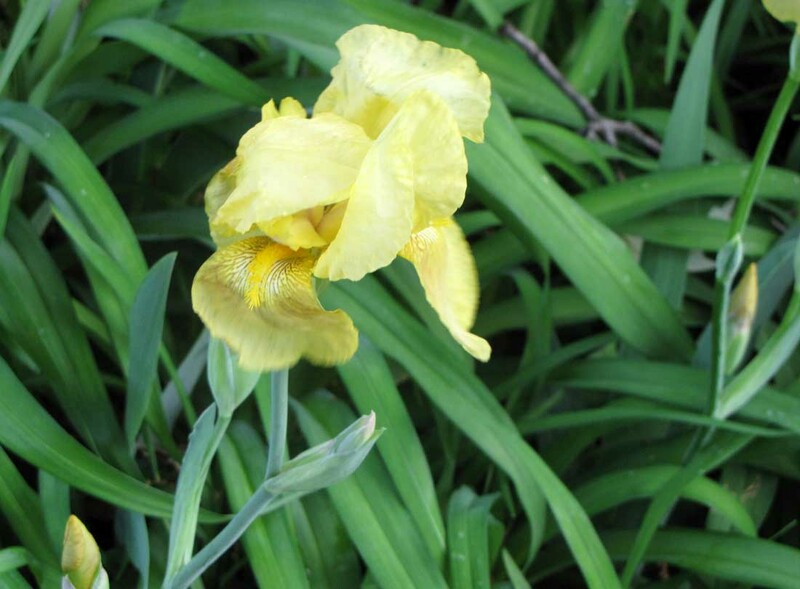 So were the bearded iris plants in a big circular flower bed around a huge oak tree in the front yard. 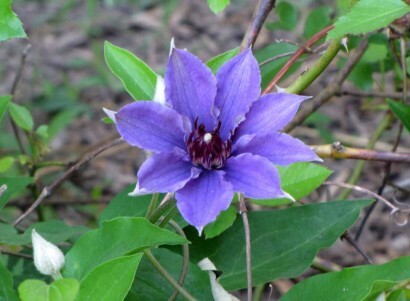 This clematis was also already planted. 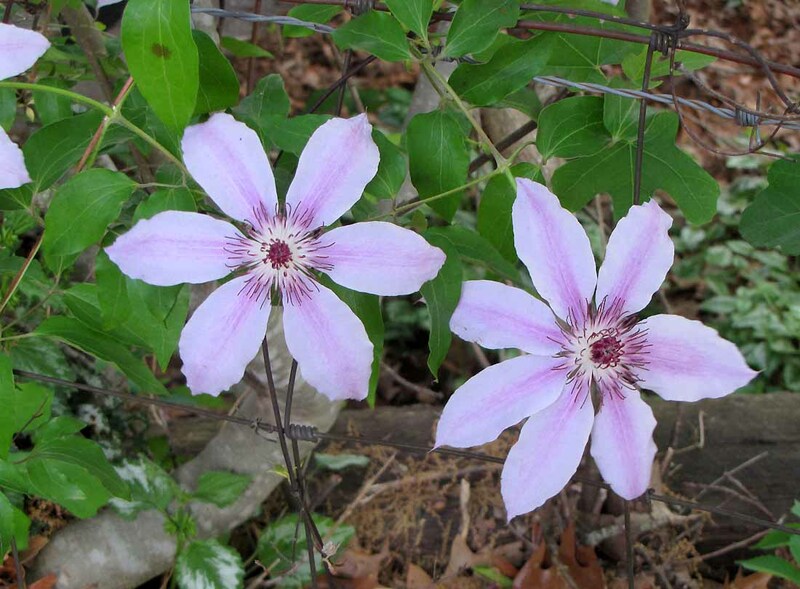 It grows along a wall made of railroad ties, and up into a fig tree I planted there. The Lenten Rose plant by our front porch is still blooming. 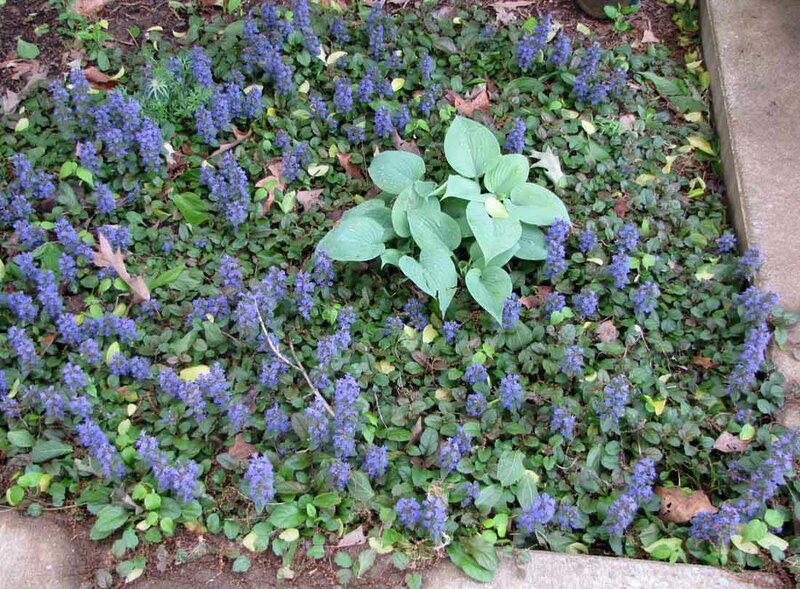 At the other end of the front porch, a small hosta plant is surrounded by ajuga in bloom. In the same bed, there are three small azalea bushes in bloom. 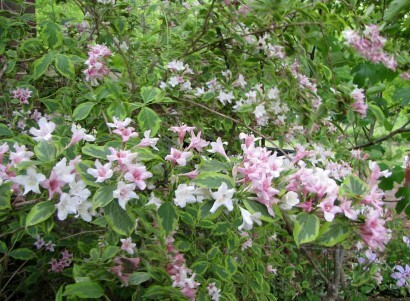 Around in the back yard I have a variegated weigela bush. It’s another plant I brought from our last house. 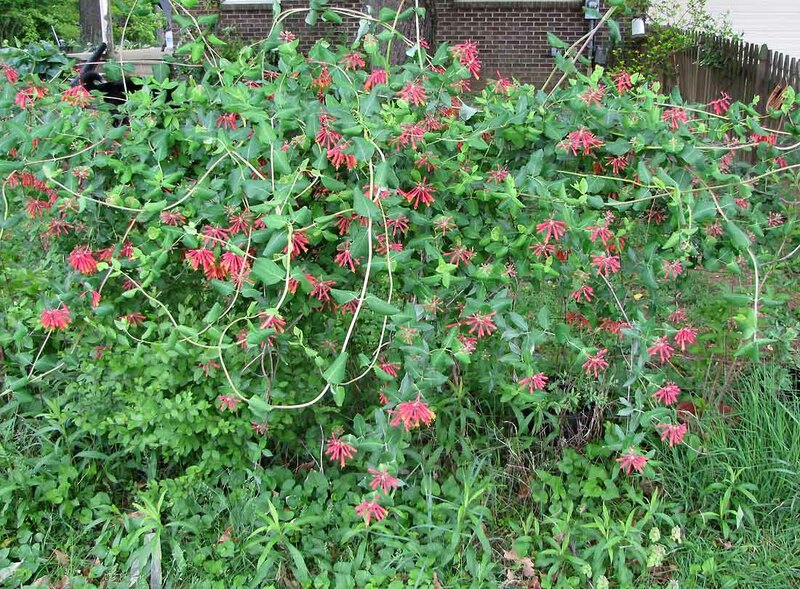 Most of the time I call it my Resurrection Bush, because The Farmer told me in no uncertain terms that it was nothing but a dead stick, and I was wasting my time planting it. Every spring when it blooms I usually find myself making some comment to The Farmer about “all those pretty blooms on that dead plant.” It’s a miracle! There is also a blue clematis blooming in the rose garden. And of course, last but not least in my book, there are also roses blooming. This one is called a Butterfly Rose. 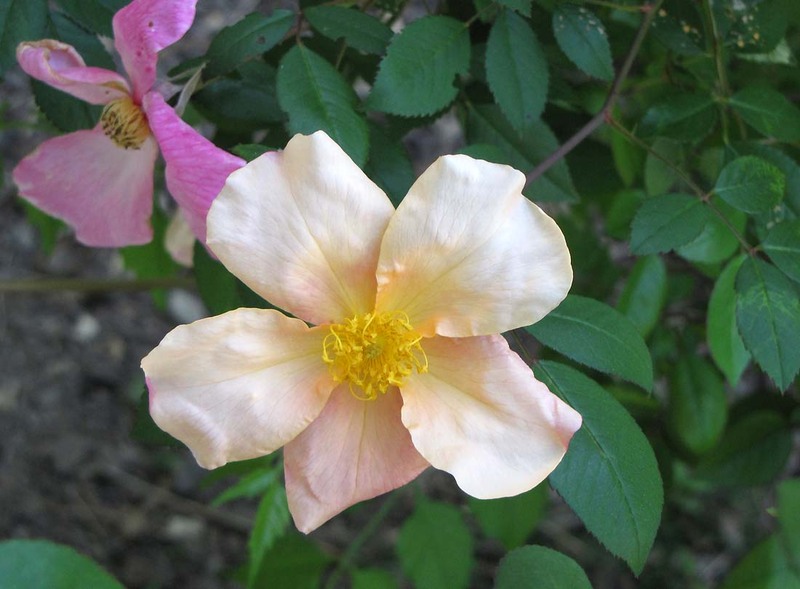 It’s also known as a China Rose. I like it because of the various pastel colors it has on one bush. There’s more things blooming, like the old-fashioned lilacs still have some blooms. But what a mix! I think of roses in the summer, and azaelas in the spring… but everything is all mixed together. Sometimes I’m not sure I like this “all at once” style, but that’s the way it is. So I just enjoy the blooms *whenever* I see them!